I was in Atlanta when Lilybelle called to say she was going to cancel the meeting. She was a sophomore at UMD. I knew she was scheduled to meet with a graduate admissions counselor for an MD/PhD program. It seemed a good fit for her. Since her elementary school days she had a way with numbers and science. In high school because of her precision and steady hands her classmates made her cut their pigs for dissection. Squeamish she is not. By the time she was a high school senior she was littered with recruitment mail for pre-med programs. When she called me, she said, ‘I was on my way to the appointment and it hit me, this is not for me.’ In this case proficiency for the subject and desire to pursue it did not go together. 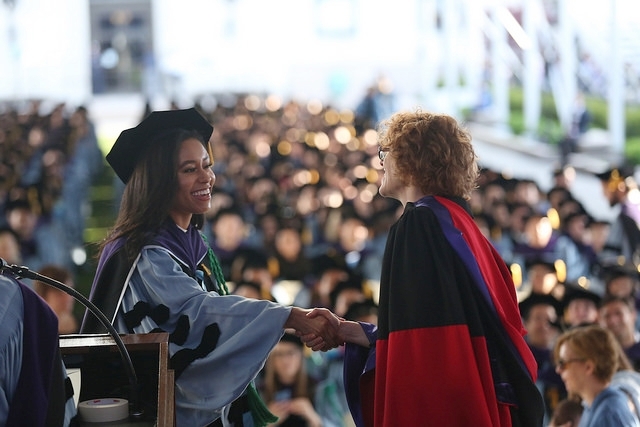 Though her advisor in college made a strong case for pursuing a PhD in Economics, it was her time at Google that crystallized law as her choice for a career. 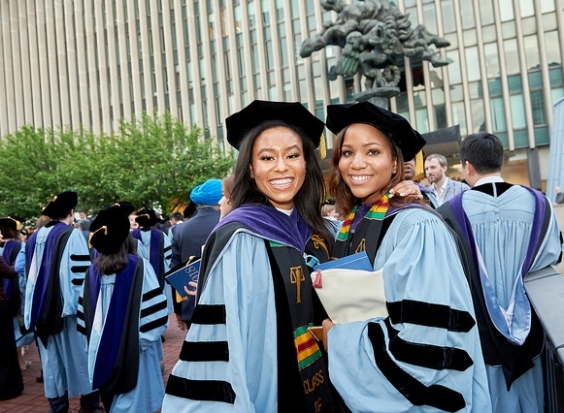 Last Monday, Lilybelle graduated from Columbia Law School with a J.D. degree. As her mother I am so happy for her. Happy she knew her mind. Happy she followed through its guidance. Happy she knows the satisfaction that comes from a goal achieved. Was it Easy? No. Worth It? Absolutely Yes! Most of all I’m happy that she knows with God all things are Possible. Dean Gillian Lester conferring degree to Lilybelle. Next Post Where There’s A Will…. It’s been a pleasure watching LilyBelle grow up and blossom. And it’s a testament to your faith, patience, discipline, and love. Y’all are a beacon for young families like mine and a blessing. Thank you & what a pleasure it is to watch you & yours parent your budding geniuses….particularly as you do it in heels❣️???? There is nothing more rewarding that to find your calling when it comes to a career as a student. And even more rewarding when two great parents are able to celebrate the grand educational achievements of their offspring. Congratulations my sista! I love reading your stories that you write about your daughter. They are so informative and sprinkled with love. When she was abroad , you wrote the post and shared the photos, as you traveled with her. That was great reading. I can’t wait to read the next Chapter in her life that you write. God bless you and your family. Thank you so much & I am delighted that you enjoy the post, have to find a way to turn studying for the bar into a post???? ??? ?